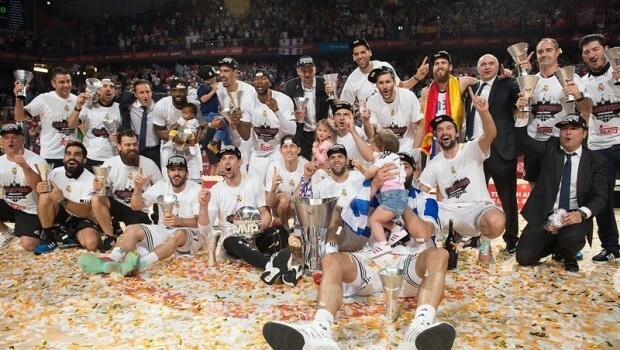 Real Madrid lifted their 9th Euroleague Championship Title against the tough fighting Greek’s Olympiacos. 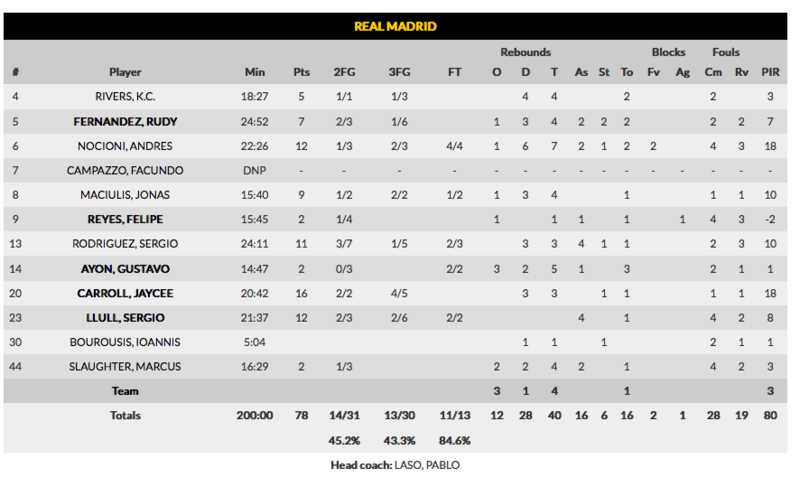 Madrid took charge in the second quarter and led 35-28 at halftime. Olympiacos used a 0-12 third-quarter run to take a 40-41 lead, but Jaycee Carroll took over with 11 straight points and Los Blancos never looked back. 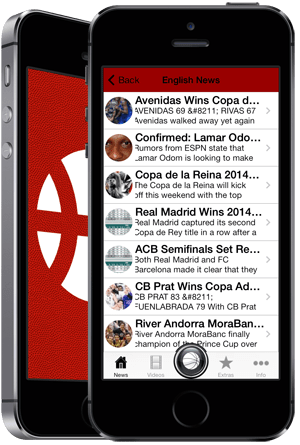 Madrid outscored Olympiacos 38-18 over the final 14 minutes to claim the historic victory. Carroll led the winners with 16 points on 4-of-5 three-point shooting. 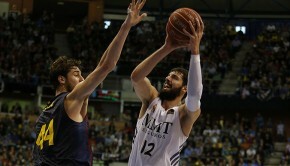 Final Four MVP Andres Nocioni contributed 12 points and 7 rebounds, Sergio Llull also scored 12 and Sergio Rodriguez added 11. Matt Lojeski paced the Olympiacos attack with 17 points, Georgios Printezis netted 11 and Kostas Sloukas and Othello Hunter had 10 each. 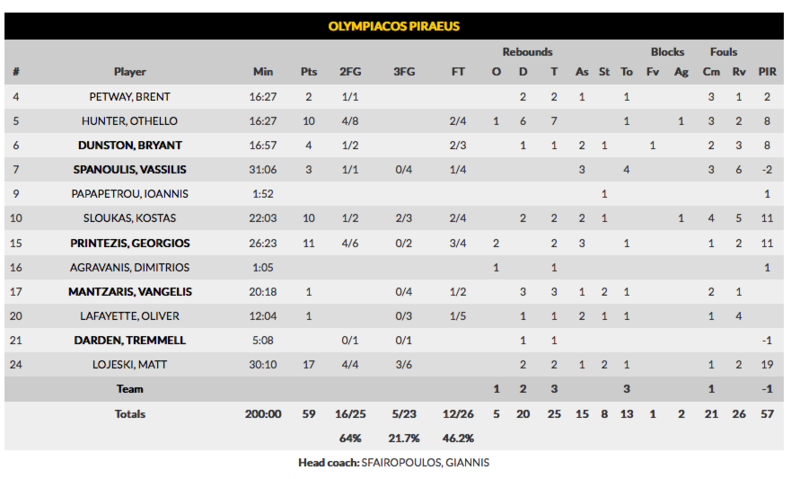 Vassilis Spanoulis was held to just 3 points. 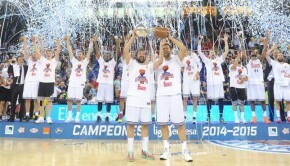 Final Four MVP: Andres Nocioni came to Real Madrid over the summer to help lead the club to glory and he made good on that at the 2015 Turkish Airlines Euroleague Final Four. 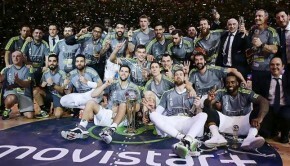 Nocioni was voted bwin MVP of the Final Four by accredited Media at the Turkish Airlines Euroleague Championship Game at Barclaycard Center after a pair of impressive showings that proved decisive in Los Blancos claiming their first continental championship in 20 years. Nocioni came off the bench to score 12 points in each game at the Final Four, which tied for the most points on the team. He was also Madrid’s top rebounder with 13 rebounds and the only Madrid player to block a shot – he blocked 3! – at the Final Four. 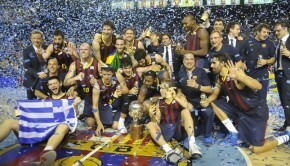 Nocioni’s average performance index rating at the Final Four was 18 and the highest of any player on the finalists. 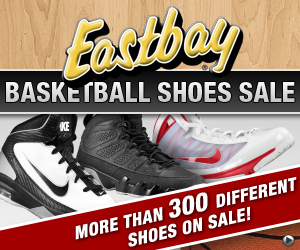 Not only was Nocioni impressive, but the timing of his plays proved crucial. His three-pointer with 3:45 remaining in the fourth quarter helped start a game-clinching 9-0 run during which he also recorded a magnificent block from behind on Kostas Sloukas. When Nocioni returned to the bench, he did so to a standing ovation, which was well deserved.